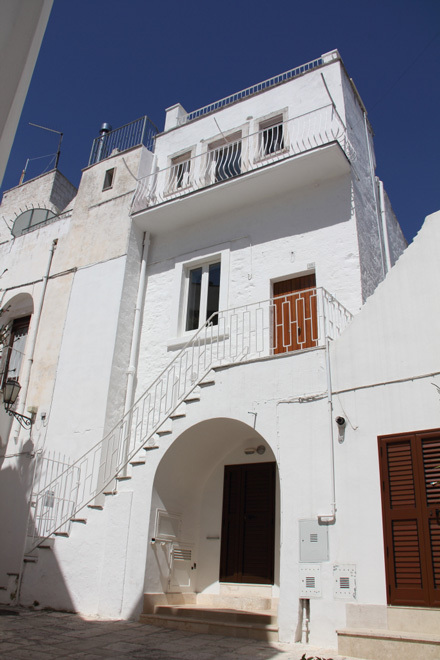 This hystorical house – dated 18th century – was acquired and renovated by the new owner after a long period of neglect. 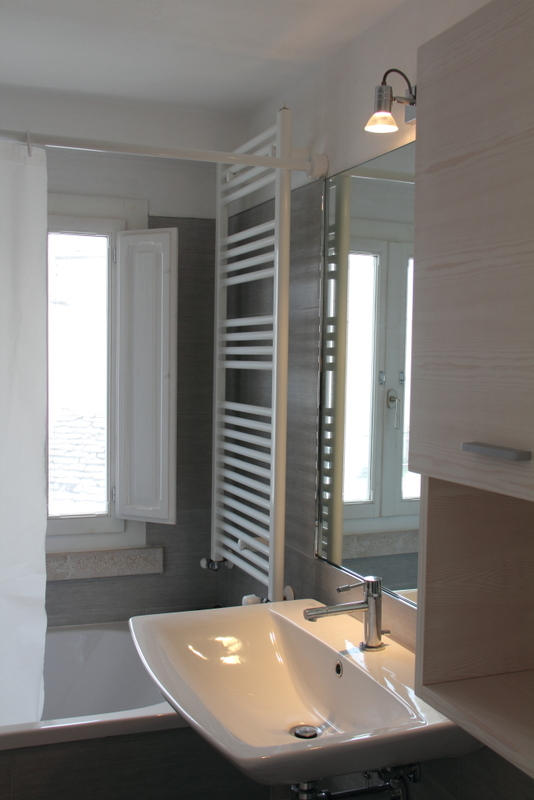 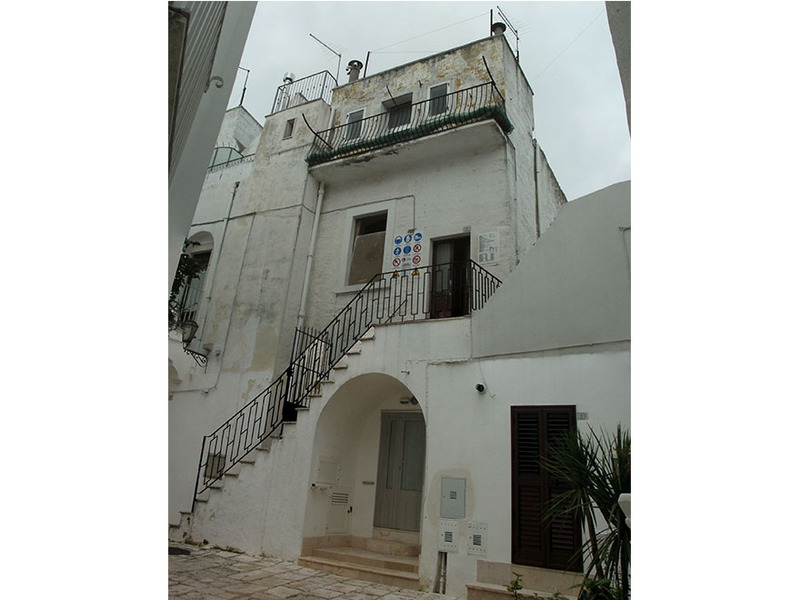 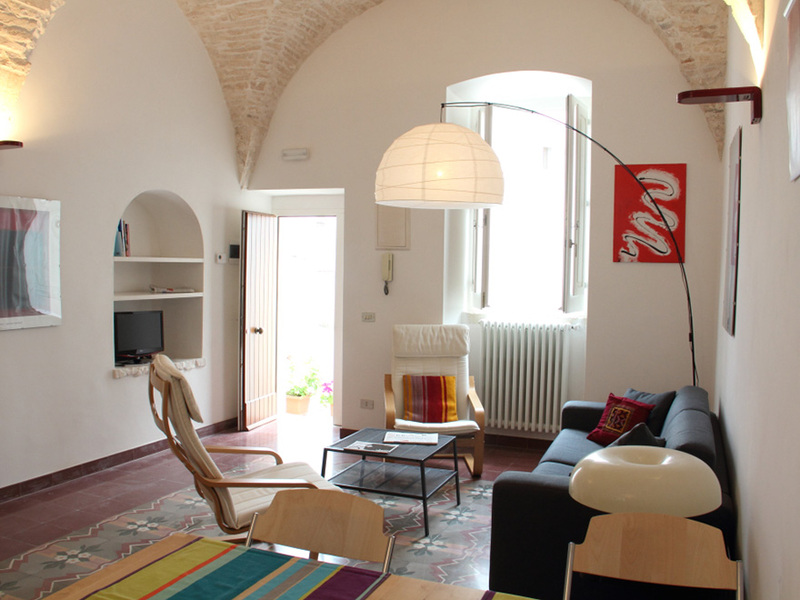 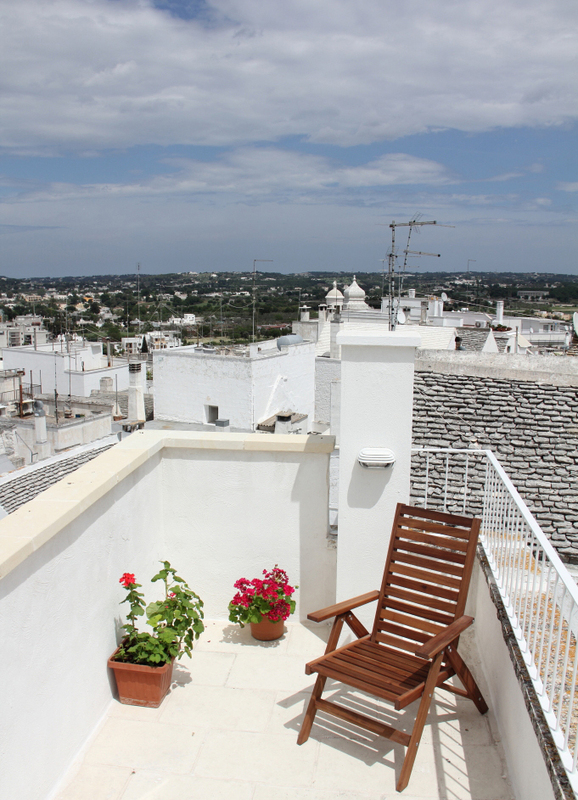 The building is made by three floors: a living/dining area, a sleeping area and a wonderful terrace with two panoramic views, one on the churches and roofs of the old town and the other on the surroundings of the Locorotondo town and the Valle D’Itria up to the Adriatic Sea. 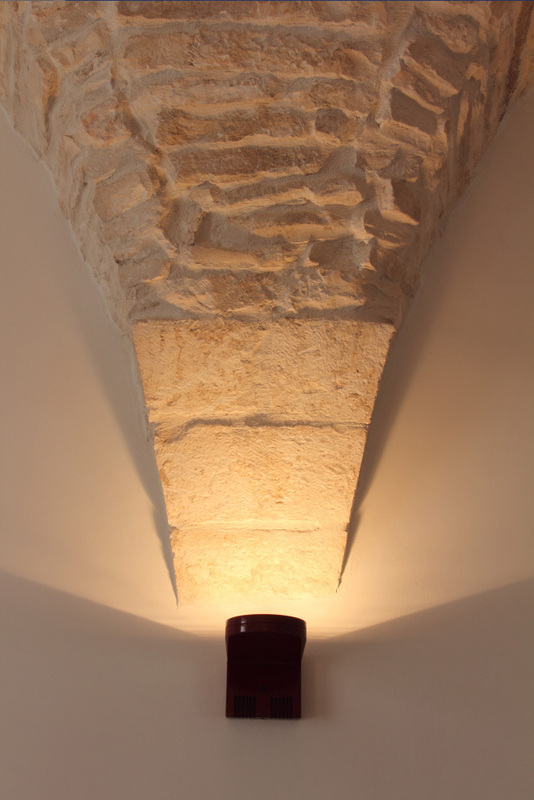 The first floor, previously divided into two small rooms by partitions, became a single large room where you can enjoy the beauty of the ancient structural “star-shaped vaults”, typical of the Baroque Salento and the valuable floral style “Liberty” pavement, finely renovated. 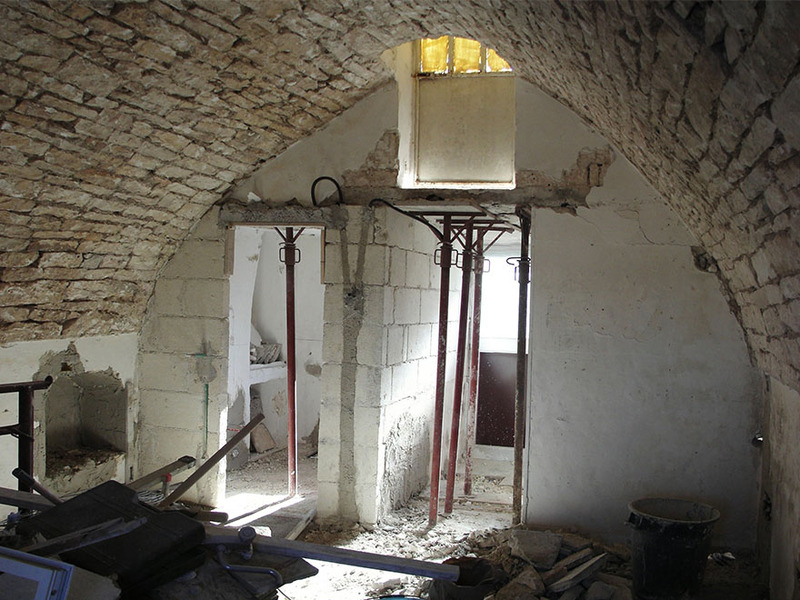 In the large room, thanks to the dismantling of the partitions – it has been obtained a large living room connected to the kitchen area through a large arch. 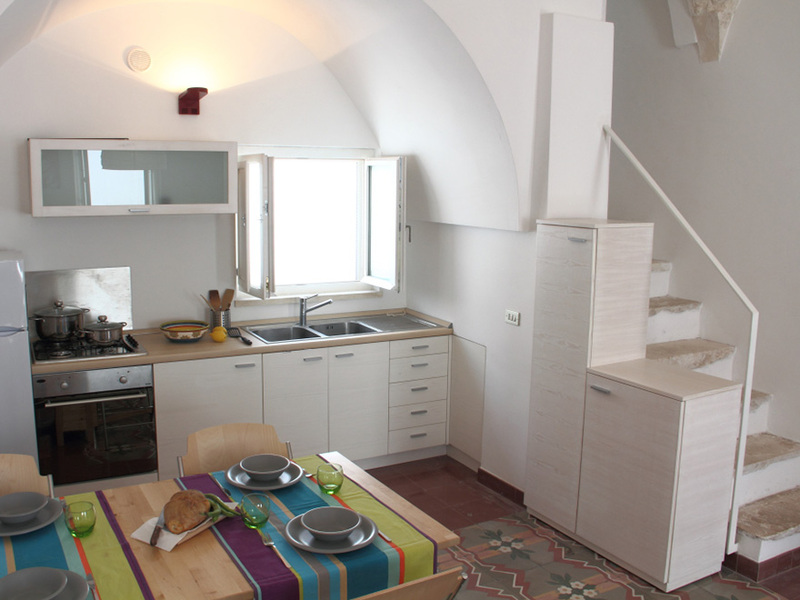 The furniture of the kitchen has been designed and tailor-made by expert wood artisans. 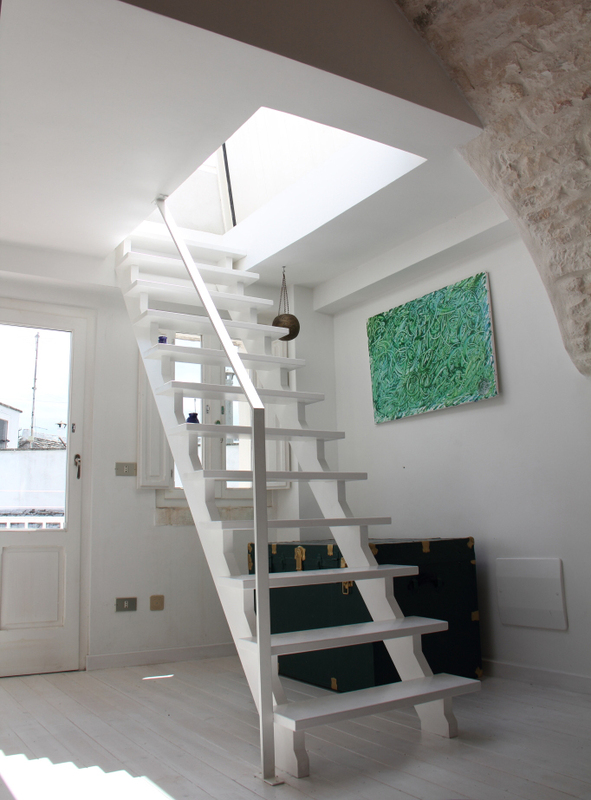 The original stairs leading from the first to the second floor has been demolished and rebuilt with the same original materials with the aim of making it more comfortable. 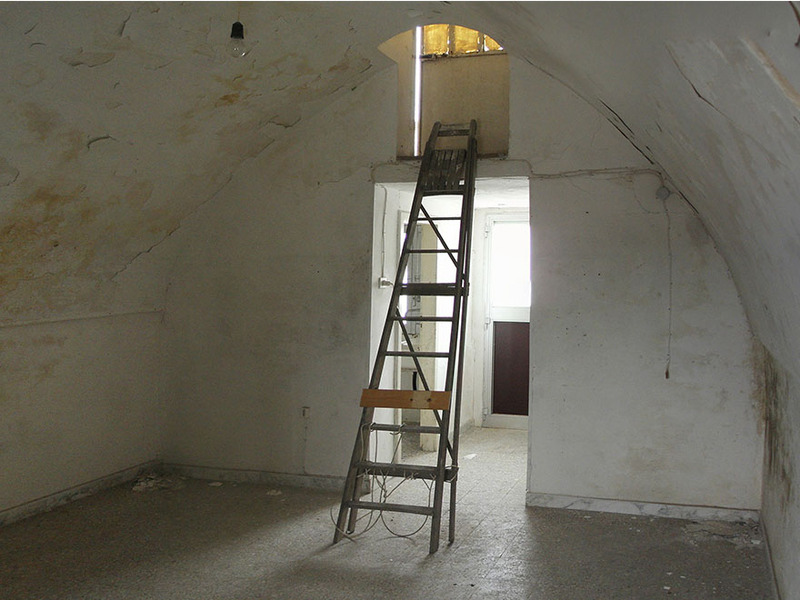 The second floor was originally characterized by the presence of partitions that defined two small rooms used as kitchen and bathroom. 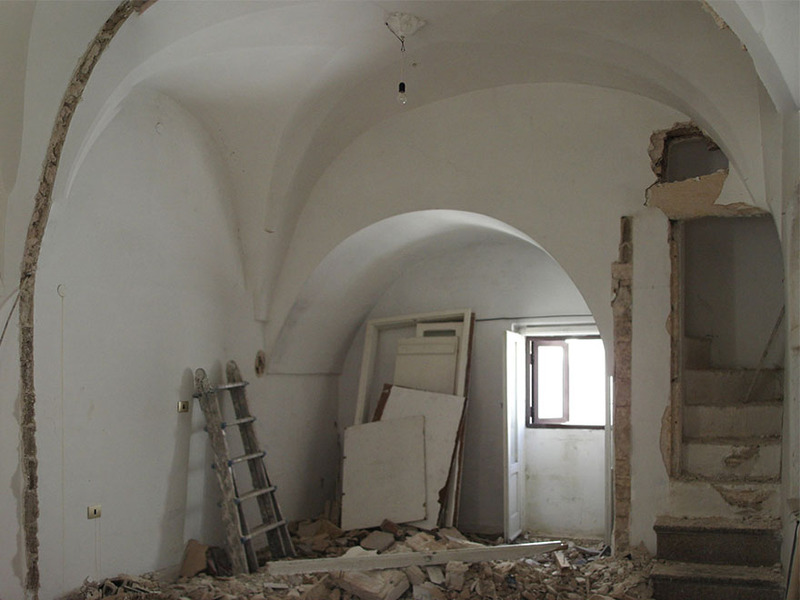 Because of the damage caused by the infiltration of rainwater, it was decided to intervene as well demolishing the partitions. 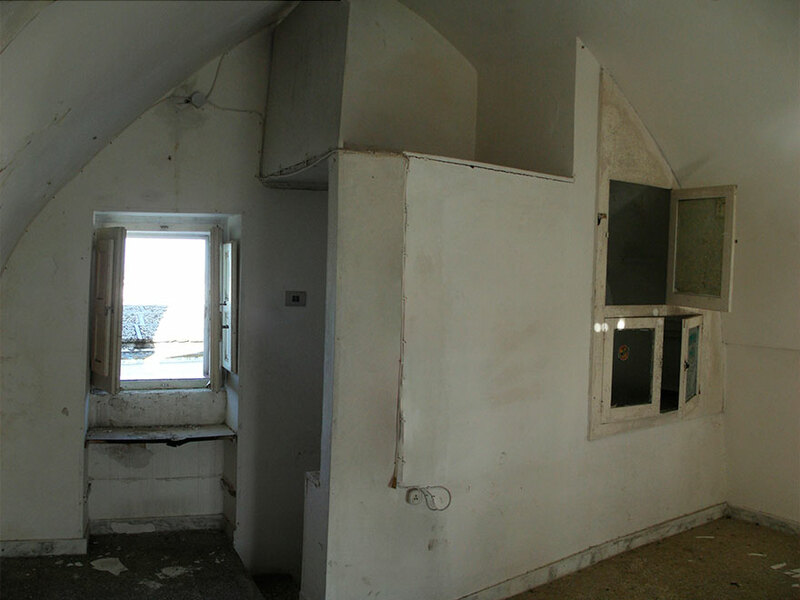 Even the floor has been partially demolished and rebuilt, providing a large hatch for accessing the terrace. 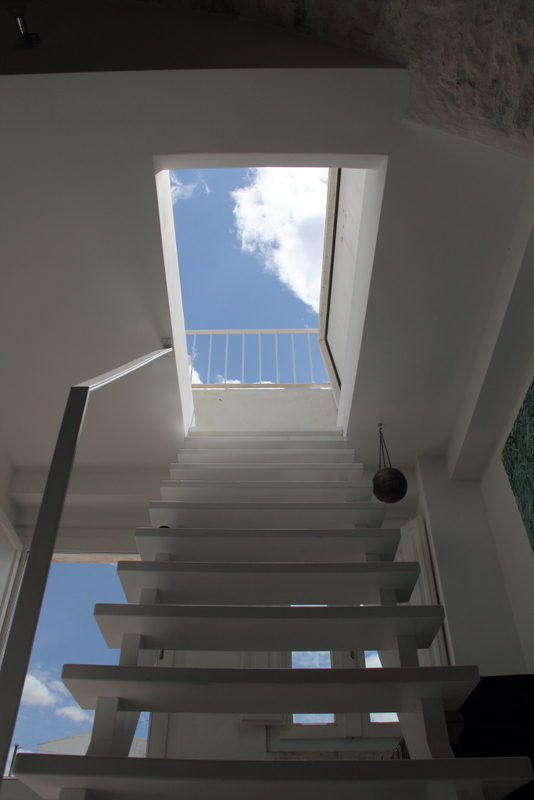 In order to complete the renovation of the access to the roof, a tailored wooden cover and staircase have been designed and built by expert wood artisans. 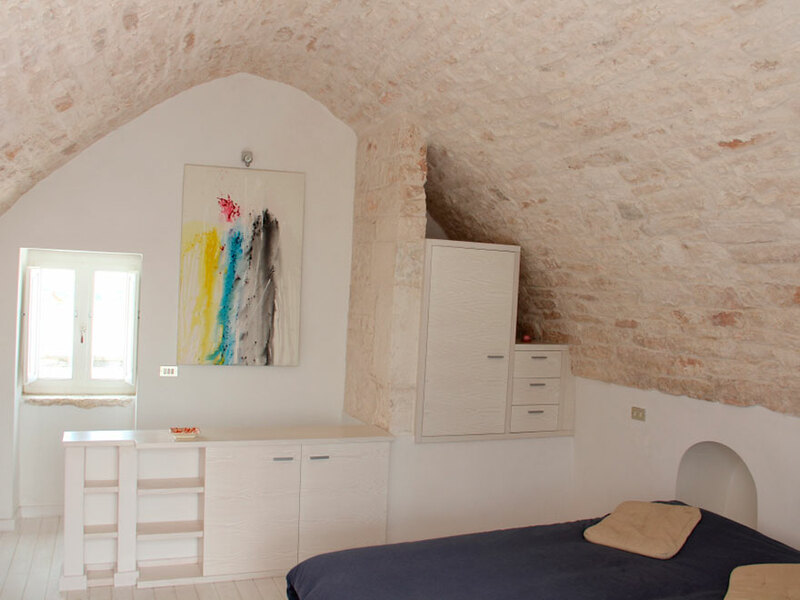 The windows have been reconstructed in full compliance with local tradition and painted with light white, leaving visible the grain of the wood beams.